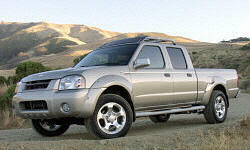 Nissan Frontier Reliability & Durability Pros and Cons | Page 1 of 1 | Why Not This Car? What drives people to buy (or not buy) a certain car? 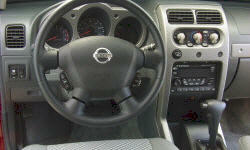 TrueDelta's members share Nissan Frontier pros and cons based on their real-world driving experiences. Has had no mechanical issues since purchased new. Now with 57,000 miles on it and 6.5 years of ownership. Very reliable. Less than 40K miles and have already replaced one head on the engine, caliper, rear driveshaft, and differential. The VQ40 has numerous issues (timing chain tensioners, valve slop, piston slap) and cheap parts. Do your research before buying. Only one issue in 3 years, an e-brake adjustment, not a big deal. Solid truck, can handle anything you put it through. Does not fall apart, inside or out. I bought this truck, all routine maintenance is performed by the dealership I purchased it at. I have never taken it in on a recall, and the only trouble I have had is the emergency break needing an adjustment, which was very minor in my opinion. Nissan has a reputation for producing reliable vehicles.